Currently unavailable to order. Expected to arrive in 7 days. Want to be notified when stock arrives? 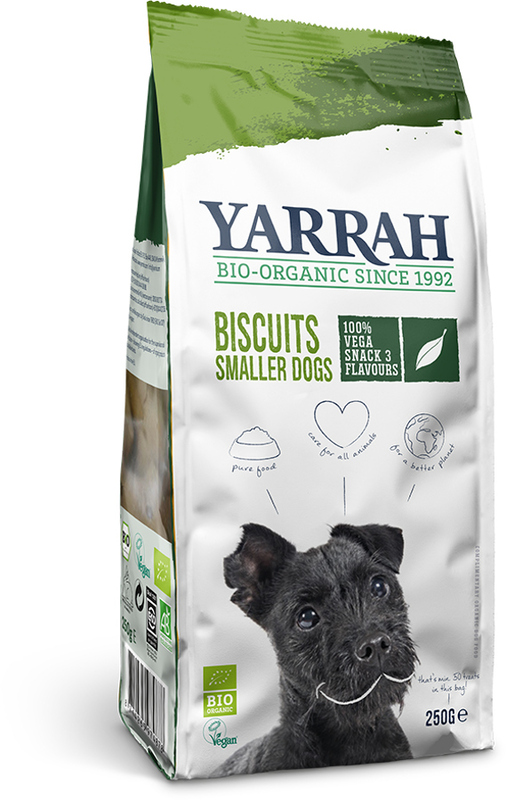 Yarrah Multi Dog Biscuits are fortified with seaweed, yeast and malt and contain three different flavours in a pack. Yarrah Multi Dog Biscuits can be fed to all dogs; they are composed in such a manner that the chances of allergic reactions and digestive problems are virtually negligible. Spirulina has been added to the Multi Dog Biscuits to help purify the body of toxins, which means it improves the dog’s vitality and coat condition, enhances the resistance to illness and promotes recovery after exertion or illness. 99% organic and 100% vegetarian. Cereals (wheat, corn), sugar (glucose syrup from corn), oils and fats (sunflower oil), minerals, vegetables (spinach powder), derivatives of vegetable origin (malt powder), yeasts, algae (seaweed 0.1%, Spirulina 0.03%). 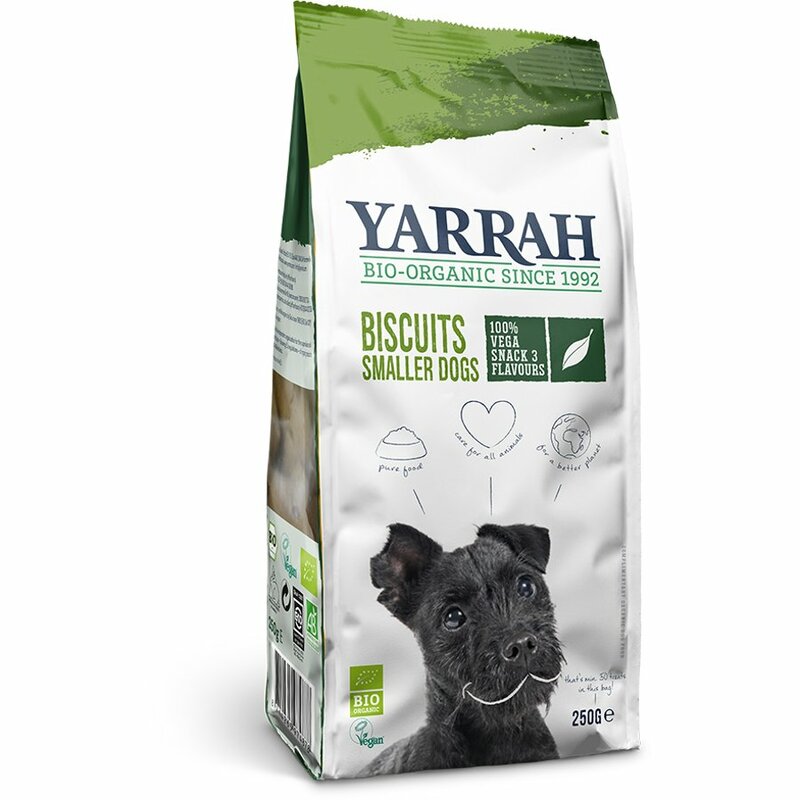 There are currently no questions to display about Yarrah Organic Vegetarian Dog Biscuits - 250g.